Announcement from ROUGOL, 15th July, 2014. The Midlands User Group normally meets on the third Saturday of odd months, but July is a particularly odd month because this year they’re meeting on the first Saturday instead. 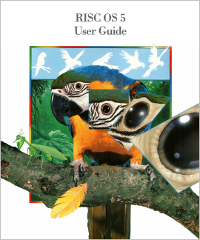 It used to be that the group hosted their own RISC OS show in early July, and treated that as their meeting for the month – and that’s more or less what they still do, with the exception that their show is now a small area within a much bigger event that covers a great deal more than just RISC OS. Horsham, Southampton, Bristol, Midlands, Wessex… Everybody talk about… pop music! No, hang on, that’s not right. Announcement from ROUGOL, 14th May, 2014.